Documenting the Mandelbrot set as an area of equally coloured complex numbers in a plane is an easy task. Colouring its neighborhood in different ways is sometimes far more interesting, well, for those who are interested in graphics effects. What happens if your Java program goes wild is shown in below two examples. 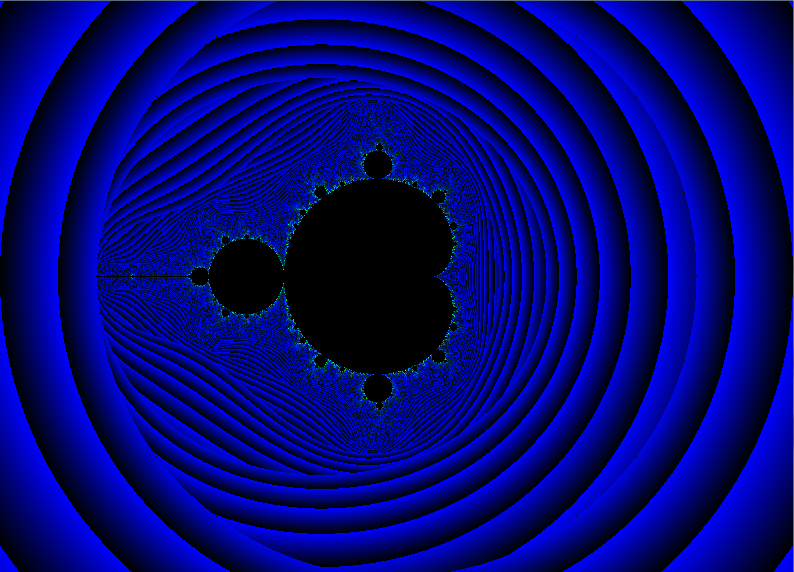 Both pictures show the Mandelbrot set in the center as the set of pixels coloured in black. The famous shape as we all know it. 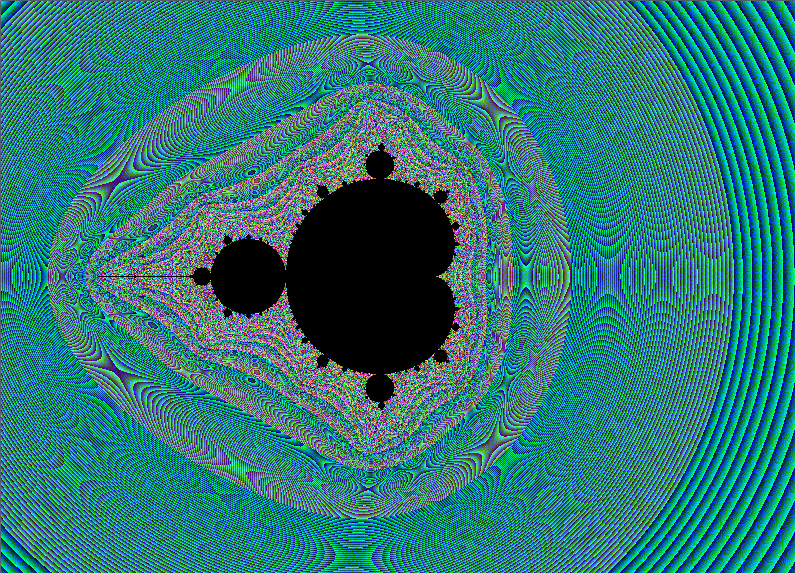 For the artistically inclined, more interesting is how the neighborhood of the Mandelbrot set can be coloured in simply by varying the algorithm a bit. An endless variety of patterns can be created, to your liking and preferred taste. I admit that I forgot to document the parameters I selected for below pictures. I liked them so much that I decided to conserve them, instead of throwing them into the bin of history labeled “not exactly the output I expected”. For those who are in desperate search (for whatever strange reason!) to find a proof why the sequence of zn+1 = zn2 + c (starting with z0 = (0, 0) and varying the parameter c) escapes to infinity when the absolute value of the complex number zn is larger than 2: Here you may find a satisfactory proof. Relax.